San Marino is the world's oldest and smallest republic. According to legend it was founded by a Christian stonemason named Marinus in 301 AD, as a refuge against religious persecution. It has remained independent ever since except for a brief period during the time of the Borgias. It is surrounded by the Italian province of Emilia Romagna. In 1862 it established a customs union with Italy, and continues to enjoy the protection of Italy. 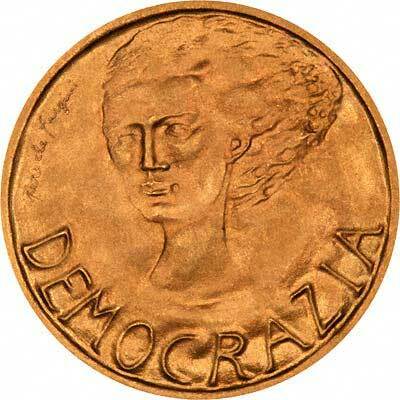 San Marino appears to have issued its own coins only since 1864, and its first gold coins were issued in 1925. 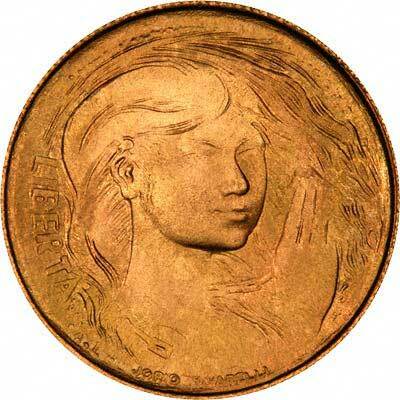 Its first gold coins were issued with Lire denominations, then scudi since 1974. 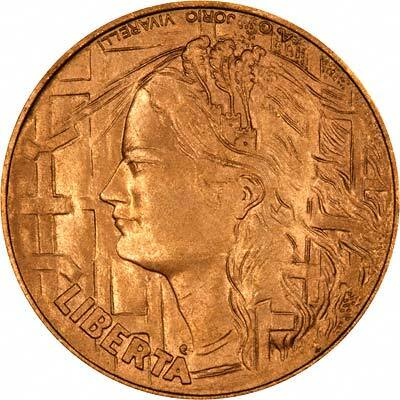 It converted to the Euro in 2002, although we have yet to see a gold Euro coin from San Marino. In most years, all the gold coins have a new and different design, sometimes on both sides, but all the denominations often share the same design. 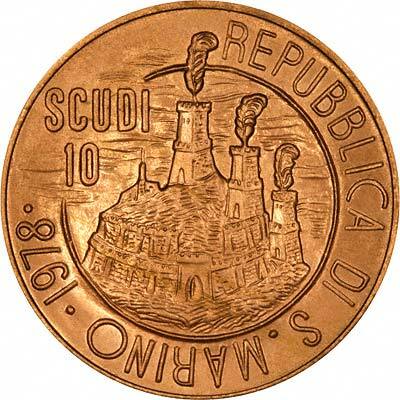 The 10 scudi has only been made in one single year 1978. For silver and base metal coins of San Marino, please look at our original Chard Coins website.